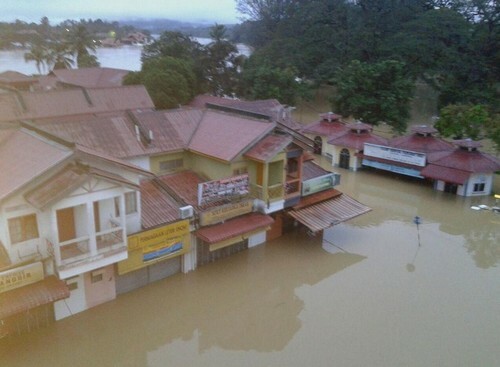 KUALA KRAI - After more than two days of unabated flooding, the churning waters in Kampung Manek Urai has submerged many homes and buildings. 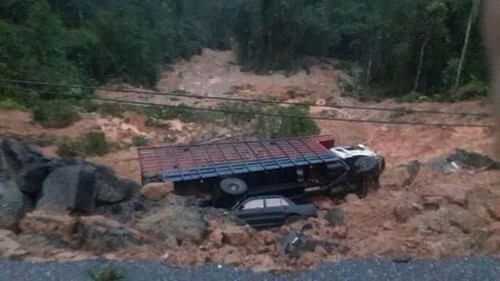 A large number of vehicles were also swept away by strong currents, leaving some upside down and others crumpled against bridges. 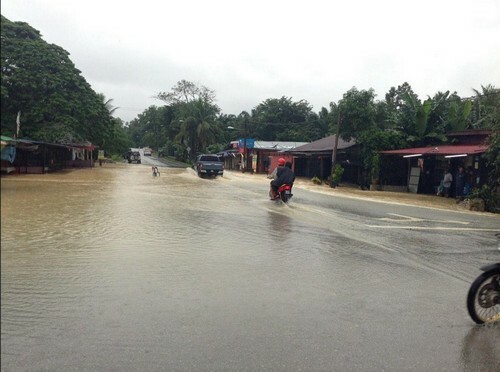 Kuala Krai, Tanah Merah and Rantau Panjang were among the worst hit areas, with communications down and the authorities cut off from many places there these past few days. This made it difficult for them to distribute aid and provide medical assistance, even by air because there were no suitable landing spots. 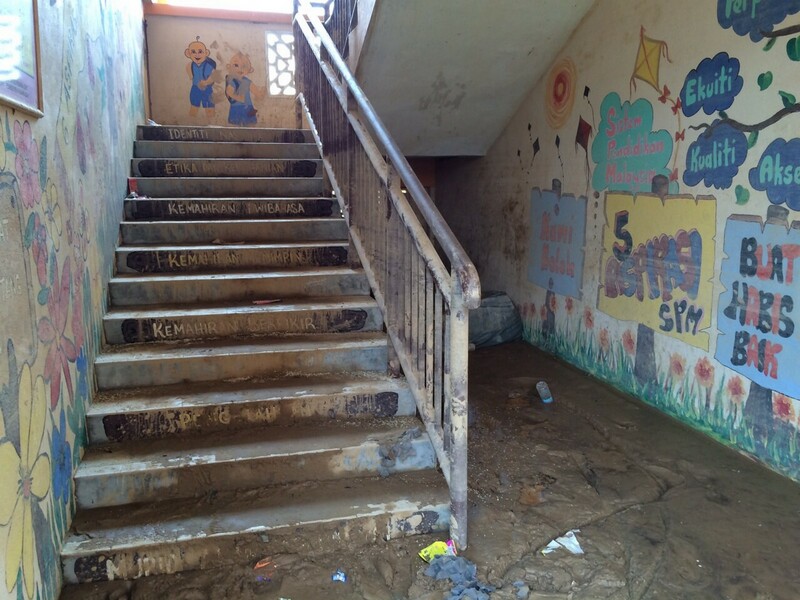 When the floodwaters started to recede last night, food and other supplies could finally be brought to the victims. At the height of the flood, many residents took refuge in small boats while others sought safety on a nearby hill, Bukit Kajang. Armed forces personnel Fazli Mohd Noor, 39, said they were stranded on the hill and could not be helped by the authorities. "We used sticks that we found nearby and a zinc sheet to build a hut. Four families shared the shelter," he said yesterday. At night, Mohd Fazli said, they fended off wild animals such as boars and were tormented by leeches all the time. "It was a terrible experience but we stayed strong," he said. He said that during this adversity, the people shared whatever food they had and shelter and these acts of kindness were heartwarming. 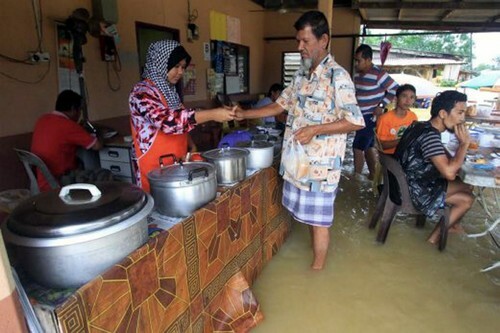 Noor Baizura Mohd Baharuddin, 20, said she ran from the flood with her 46-day-old baby boy and headed for the hill. "I only had a blanket to cover him and we were drenched from head to toe. At that time, the water was already waist high," she said. Noor Baizura said they drank rainwater until aid reached them. 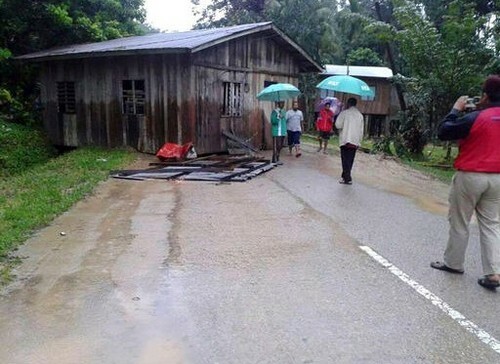 Another villager, Siti Khadijah Mohd Noor, 36, and her son Mohd Amri Lokman Mahasan, six, spent their time looking for planks scattered at the scene. She will use them to repair her house that was damaged by the floods. "Only the base of my house is still standing," she said. 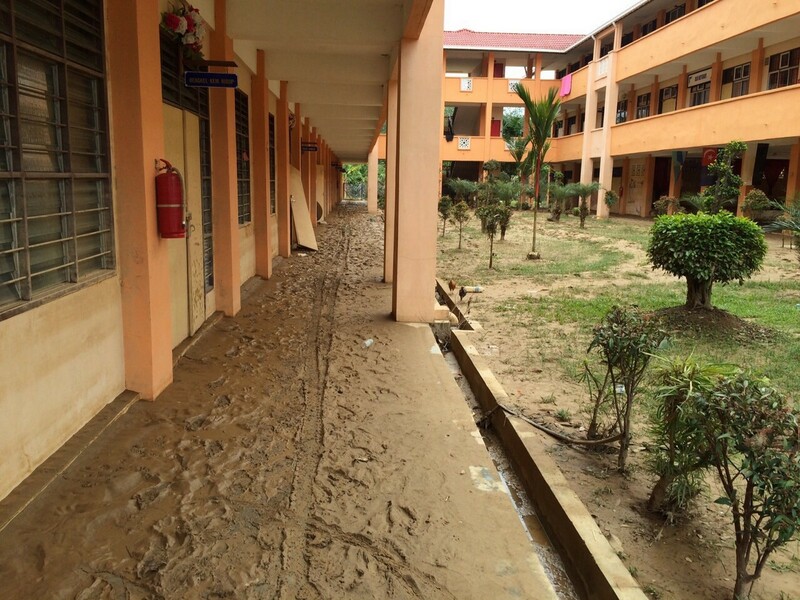 Another piece of good news - Sekolah Manek Urai was rumoured to have collapsed during the disaster but the school building was found intact. 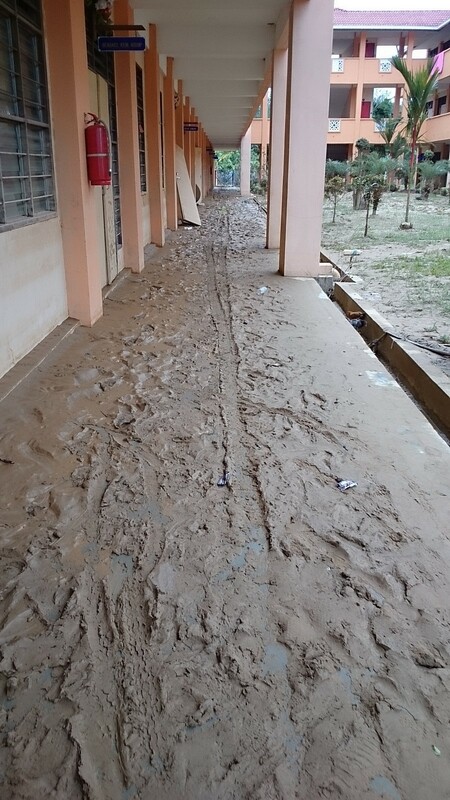 S'pore NGO Relief.sg has made an urgent call for volunteers to head up north to participate in Kelantanese efforts to help schools receive their students in restored premises come Jan 11. 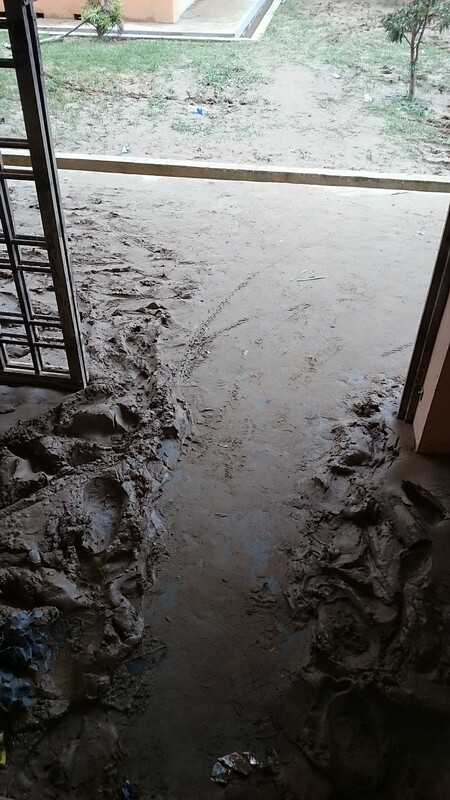 The start of the new school term - which had been postponed a week by the authorities because of the flood situation - is fast approaching, yet many affected schools remain deluged by mud and debris. RSG is organising the school-cleaning mission under its From Singapore With Love initiative, partnering with Malaysian NGO Centre for Better Living's #OpsHarapan project. The mission dates are Jan 8 to 12. Planning for subsequent missions is in the pipeline. 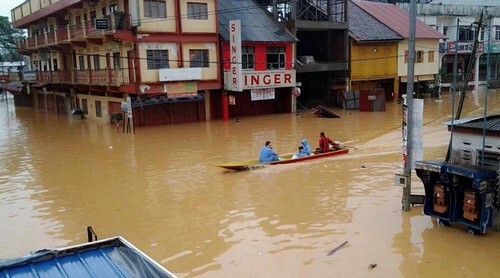 The second wave of floods ravaging the country has worsened, sending 58,705 people in six states to evacuation centres as Wednesday morning. 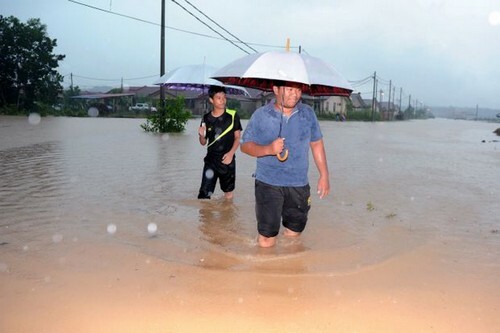 A headcount showed that Kelantan had the most number of evacuees, at 24,765. 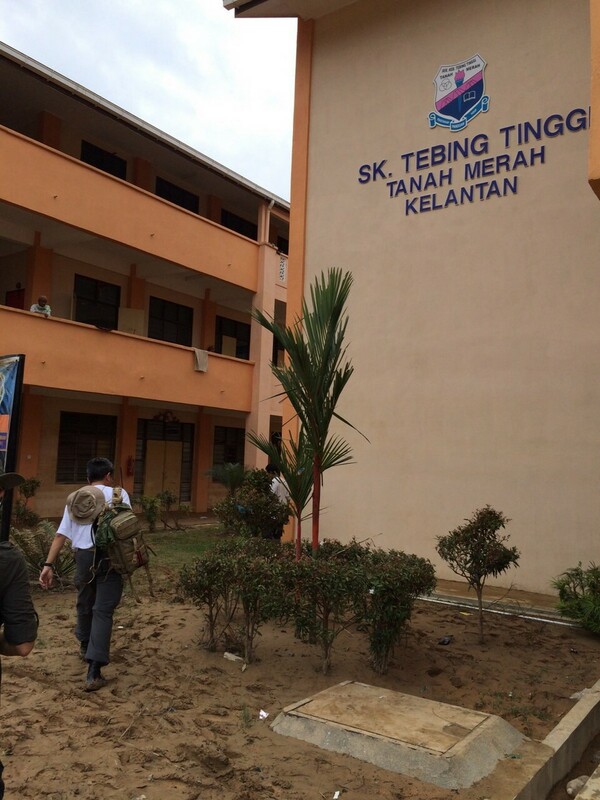 This was followed by Terengganu (21,606), Pahang (10,825), Perak (1,030), Sabah (336) and Perlis (143). 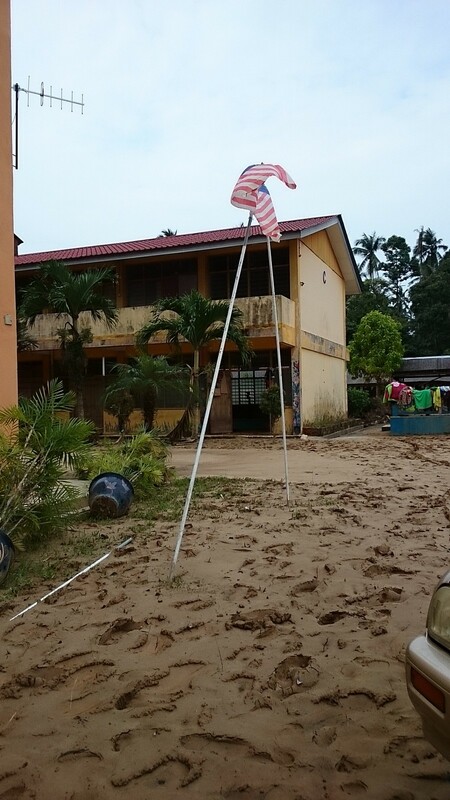 In Kelantan, the number of evacuees rose by 3,164 overnight from 21,601, forcing the opening of 18 more relief centres to take the total to 114 Wednesday. 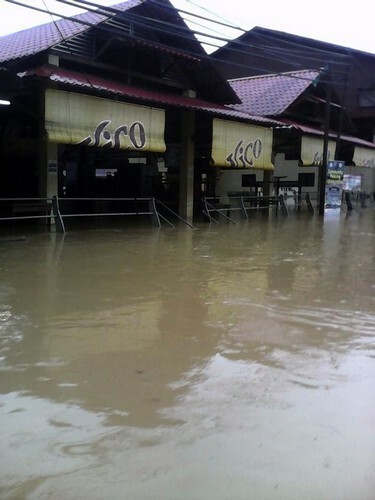 The floods in the state have affected nine of the 10 districts, namely Gua Musang, Jeli, Kuala Krai, Machang, Pasir Mas, Pasir Puteh, Tanah Merah, Tumpat and Kota Baru. Twenty-three roads in eight districts remain closed to traffic. Seventeen of these roads are closed to all vehicles and six, to light vehicles. 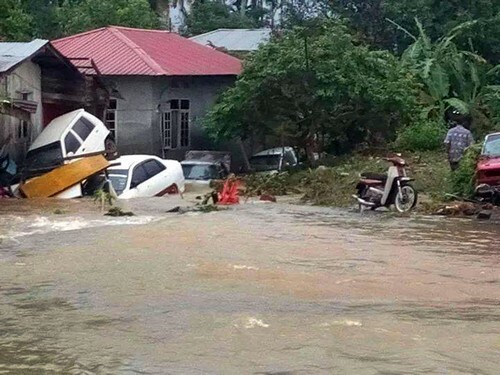 The floods in Kelantan have claimed four lives since Dec 16. 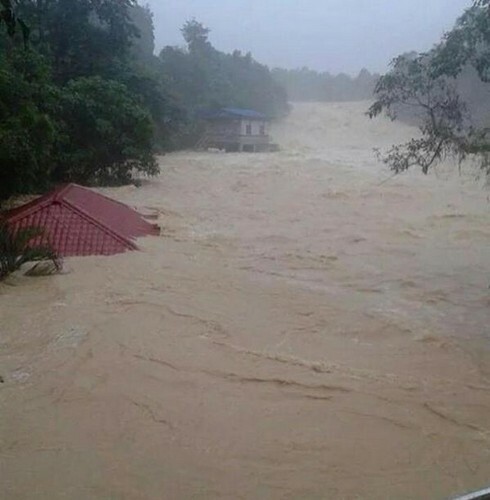 In Teregganu, 8,977 more people were evacuated overnight, raising to 21,606 the number of victims in the state. 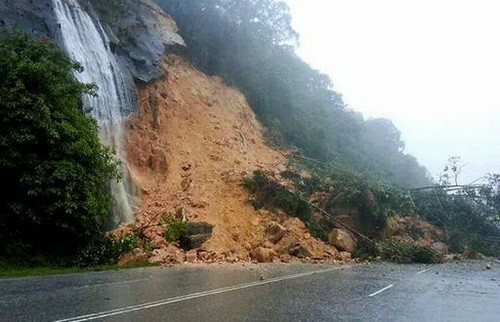 Kemaman is the worst-affected district in Terengganu, with 12,699 evacuees. 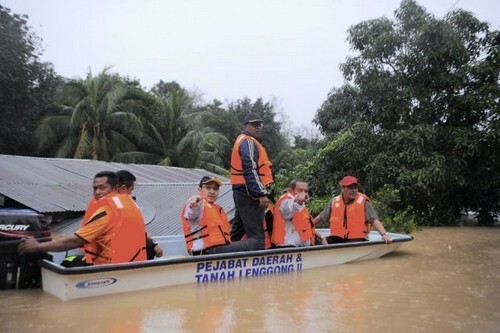 Menteri Besar of Perak Datuk Seri Dr. Zambry Abd Kadir (fourth from right) reviewing the situation in Kampung Labit. The high-tide phenomenon has been blamed for the big number of evacuations, particularly along the coastal areas. 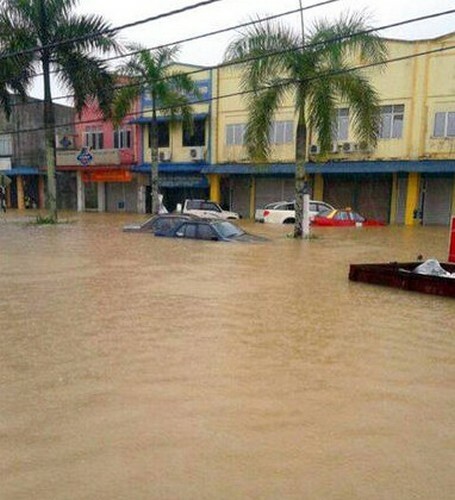 Authorities said the floods in Kelantan are the worst of the past decade after rain fell continuously for more than 12 hours Saturday, Dec 20. 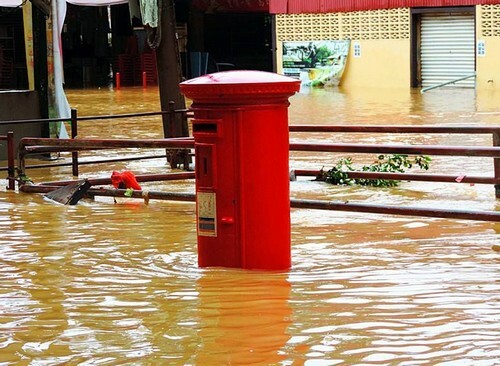 The floods which have ravaged the east coast and displaced tens of thousands of people are set to worsen. The department has for now issued a yellow stage alert for rainfall over Kelantan, Terengganu, Pahang and Johor. The yellow stage advisory is the lowest of the three-tier warnings. 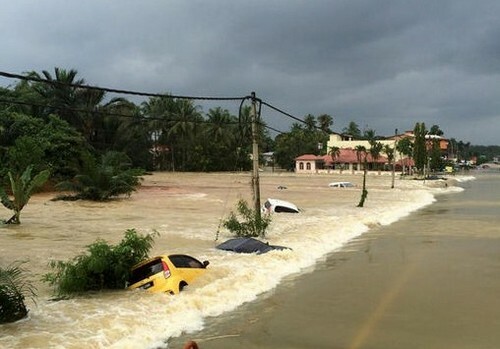 Rises in sea levels are also expected at coastal areas of Kelantan, Terengganu, Pahang and east Johor.